This entry was posted on 17th May, 2011 by Haxnicks. 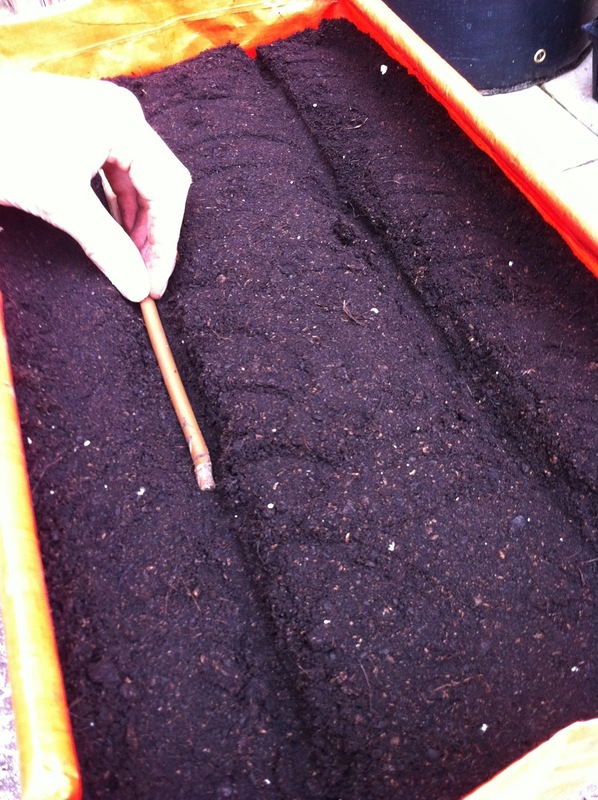 Step 1: Add a layer of gravel to the bottom of your planter, just level with the drainage holes. 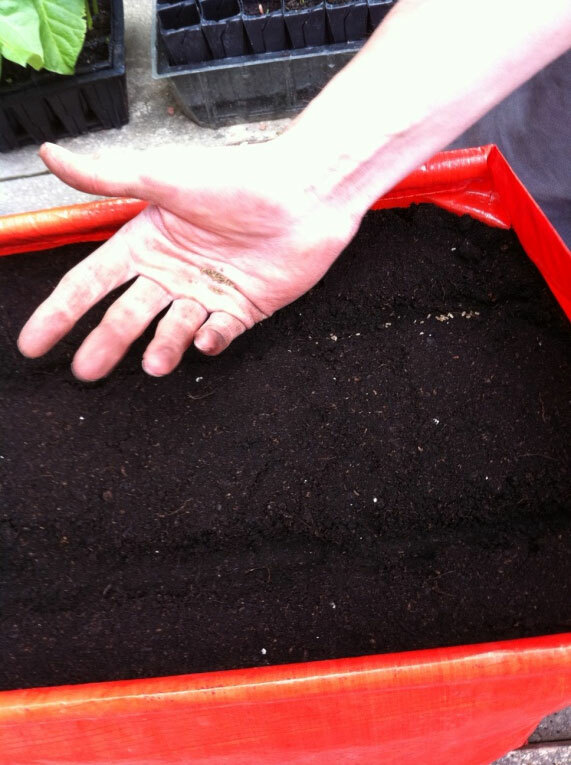 Step 2: Add multipurpose compost up to 4cm/1½ inches from the top of the Planter and water if very dry. Step 3: Mark out 2 trenches 1/2 inch/13mm deep 6ins/15cm apart. I’ve used a bamboo cane here, but you can use a 'dibber' or even a finger if you like! Step 4: Empty seeds into the palm of your hand – this will make it easier to space the seeds out when you go to sow them in the ‘drills’ you made. SOW LIKE THE EXPERTS: Starting with the little finger, roll each digit in a 'mexican wave' fashion so that the seeds roll off the side of your palm. This takes a bit of practice, so try doing it on a folded sheet of paper first. 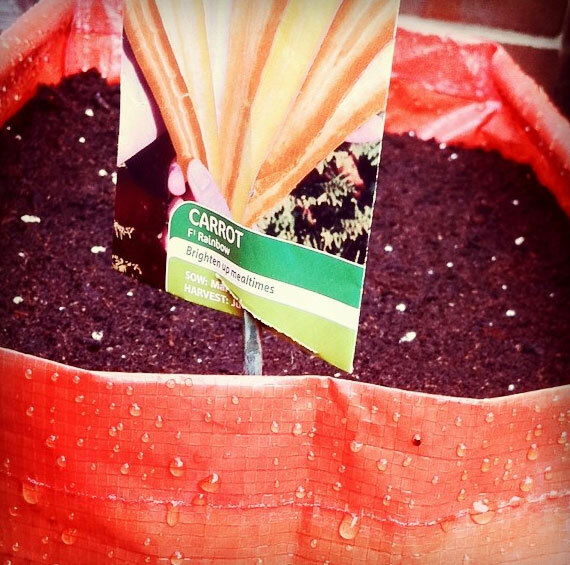 Remember to sow thinly, carrots need space and 'thinning out' will only increase the risk of attracting carrot fly. Cover over the drills you made with compost and water using a watering can. Make sure the ‘rose’ head attachment is fixed on securely so you don’t wash all the seeds away! Subscribe to the blog for more 'how-to' posts like this!